Nintendo had a bamboozling holiday season selling its convertible Switch consoles – it turned out to be the favorite Christmas gift among Americans. Now, the Japanese company has reported stunning growth numbers which can be pinned to the popularity of the hybrid gaming console. Nintendo, thanks to the Switch, has been able to make 175 percent more revenue in 2017 compared to the previous year. 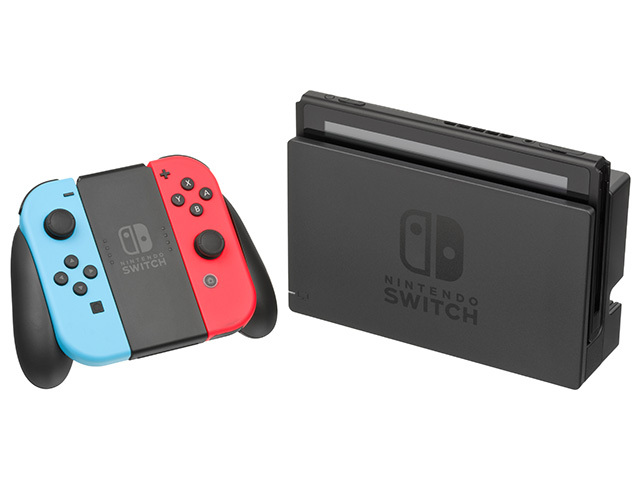 Since its launch in March, Nintendo sold a total of 14.86 million Nintendo Switch units throughout 2017, of which nearly half were sold during the holidays. This is more than the total number of Wii U consoles sold between 2012 and 2017. Further, with these staggering sales numbers, the company reaped a profit of $1.26 billion from the second, third, and fourth quarter of 2017 combined against $947 million (75% increase) during the same period in 2016. Meanwhile, during the same period, its overall revenue grew from $2.86 billion to $7.88 billion – a 2.75 times increase. Nintendo successfully sold nearly 47 million copies of games in 2017 and some of the best performing titles were produced by the company itself. The top-selling games include Super Mario Odyssey with 9.07 million copies sold, Mario Kart 8 Deluxe clocking 7.33 million, The Legend of Zelda: Breath of the Wild having 6.70 million buyers, and Splatoon 2 selling 4.91 million times. Nintendo also claimed that Switch did not strip the handheld 3DS of its sales, as the latter also saw a growth in sales, although it was nowhere as successful as the Switch. As a result, the gaming company has re-adjusted its forecast for sales and turnover from the current financial year. It now expects to end the fiscal with an operating profit of $1.47 billion (160 billion Yen) and a total revenue of $9.38 billion. Nintendo’s stocks on Tokyo stock exchange perked up by 2% after this announcement and have been trading at $49 which is more than double the value compared to last year. It appears that there are no stoppages on this growth train as Nintendo recently revealed a new category of interactive cardboard toys which players can use along with the Nintendo Switch to create and enjoy a new variety of joyful games.